Caring for a parent with dementia may be one of the greatest challenges you will ever face. Because, in addition to the devastating impact on your parent, it takes its toll on so many aspects of your life; your physical and emotional health, your job, your sense of freedom, your friends and your family. But, most importantly, it can shake the very foundation of the relationship you have probably grown to take for granted; your marriage. 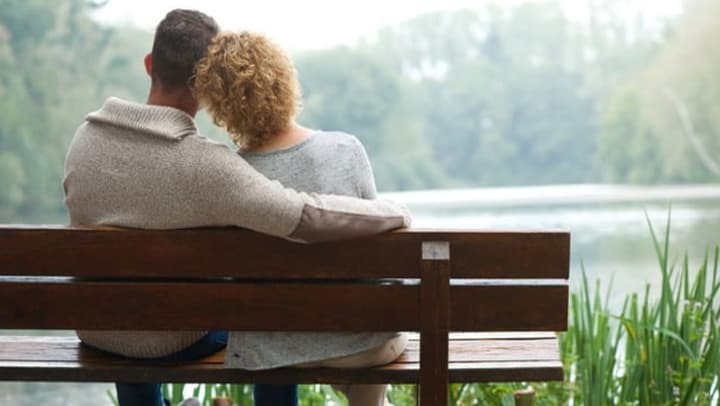 Here are four ways to help keep that key relationship as stable and healthy as possible during the many challenges that come with caring for a loved one with dementia. Don’t underestimate the enormity of this change. While you may have gotten good at choosing your battles and letting things “roll off your back” this is one challenge, unlike others, that should not be underestimated. Acknowledging this will help you better prepare and put your focus where it needs to be. Adjust your expectations of others and yourself. Perhaps you have always been the rock in the family. Or maybe you’ve always relied on your spouse to be your rock. Either way, those expectations need to be adjusted as you navigate the ups and downs of this change in your lives. When you find your spouse pulling away or complaining about lack of attention, put yourself in his or her shoes. What if your roles were reversed? How would you feel? Lifting the load of heavy expectations off your back will make your day to day burdens easier to bear. Encourage open dialog. Instead of dumping all your frustration out on your spouse, stop to listen to what he or she thinks. Ask for their opinion. By encouraging input you are also helping them let off some steam, but in a way that is more collaborative and, therefore, healthier for your relationship. Reach out for help. As we, at Anthem Memory Care communities, tell caregivers all the time, you cannot do this alone! It is important to identify your resources and use them. We’ve heard caregivers tell us that having even one night out without worrying about their loved one was a life saver. When you receive an offer of help, say “yes”. And, consider attending a dementia support group in your area. Both you and your spouse should attend together, if possible. There, you can share your feelings with others who can identify and help you and your spouse cope together more effectively. Remember that keeping the lines of communication open between you and your spouse is so important, especially during the tough days. Be sure to take time, whenever you can, to slow down the pace of your life enough to really listen to your partner’s concerns, suggestions and thoughts. You both need each other now, more than ever. Your ongoing investment in your relationship, even if less than perfect, will help sustain both of you during this challenging journey.